← Google Apps – The myth, hype and reality. Today’s article is the third in a series of articles (First was written on Steve Job’s – Apple CIO followed by Michael Dell (CEO Dell) analysing current and past leaders to ascertain how Chief Information Officer’s (CIOs) can learn better management by applying the management practices of leadership, practiced by these leaders. Warren Buffet is one of the world’s richest men and a very successful investor. For today’s blog post I have selected a truly unique individual. He works from his office that lacks a computer and surprisingly his desk is bereft of research on stocks and shares. Before we go any further, one particular event caught my attention that captures a facet of Warren Buffet’s management style. So, I have decided to share it with everyone. According to BusinessWeek, ‘We arrive late to Paris, touching down in a freakish, near-gale-force windstorm that both thrills and alarms our pilot. In four cars, we race as fast as rush-hour Paris traffic allows from Le Bourget to Dassault Aviation Group’s magnificent 19th century chateau–familiarly known as Le Rond Point–on the Champs Elysees. EJA is the largest commercial customer of Dassault Aviation, Europe’s leading manufacturer of business jets. Serge Dassault, the company’s chairman, is hosting tonight’s gala reception and dinner in Buffett’s honor. By the time we arrive, the reception is in full swing. But Buffett takes a few steps into the foyer and hustles up a flight of stairs. It will be a good 35 minutes until he descends and joins the party. 1 Is the company simple and understandable? Is the business model, simple and understandable? 2 Does it have a consistent operating history? Has IT consistently assisted the growth or well being of the company? 3 Does it have favourable, and predictable, long- term prospects? Is IT viewed favourably within the company and can IT predict how it can help the company’s long-term prospects? 4 Is the management competent and honest? Is the IT management team competent and aligned to the business vision? 5 Is the underlying business undervalued? Is IT undervalued? How can IT deliver ‘more’ value from existing resources? 2. Ownership: In the 2010 Berkshire Hathaway (BRKA) annual report, Buffett wrote of his holding company: “We tend to let our many subsidiaries operate on their own, without our supervising and monitoring them to any degree. Most managers use the independence we grant them magnificently, by maintaining an owner-oriented attitude.” Buffett wants Berkshire Hathway’s managers to think like owners. Their rewards are tied exclusively to the achievements of their own businesses, not those of Berkshire Hathaway – a principle to which Buffett holds very strongly. “We delegate to the point of abdication,” Buffett says in Berkshire’s Owner’s Manual. CIOs need to instil their teams with similar beliefs. Every individual within the CIOs team needs to think as if they were the ‘owner’s’ of the business, especially the CIOs main management team. 4. Succession: Buffet – ‘send me a letter updating your recommendations as to who should take over tomorrow if you became incapacitated tonight. Anything you send me will be confidential’. CIOs need to have succession planning in order that the business has continuity in the unfortunate event of a CIO not being able to provide management. 5. Business reputation: Buffet – ‘Look at the business you run as if it were the only asset of your family, one that must be operated for the next 50 years and can never be sold’. He adds that ‘We can afford to lose money – even a lot of money. We cannot afford to lose reputation – even a shred of reputation.’ CIOs need to understand that IT systems can enhance and taint a company’s reputation. The recent BP oil spill crisis reflects that as it had a devastating effect on BP’s reputation, wiped millions off its share price, cost billions to settle claims and control the oil spill. Additionally, the irrecoverable loss of both human and marine life, coupled with the environmental damage leaves the oil giant in shambles. 6. Quality management: ”What I must understand is why someone will continue to get out of bed in the morning once they have all the money they could want,” Buffett says. ”Do they love the business, or do they love the money?” CIOs need to have a team that enjoys working within IT and associated line of business. 7. Competitive advantage: Warren Buffett was once asked what is the most important thing he looks for when evaluating a company to invest in. Without hesitation, he replied, “Sustainable competitive advantage.” CIOs need to ask themselves how they can help the business through leveraging IT to create competitive advantage? I covered this a few months ago, in my post, Leveraging IT for Competitive Advantage – Myth or Reality? Companies with a sustainable economic advantage need honest, capable and hardworking leaders to retain their lead. Berkshire-Hathaway’s managers have one instruction: Widen the moat. That keeps the castle valuable. 9. Use analogies and metaphors. 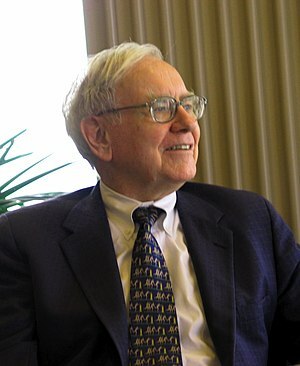 A great example is Buffett’s description of how many of us felt after the economic collapse in 2008: “By year end, investors of all stripes were bloodied and confused, much as if they were small birds that had strayed into a badminton game.” And he goes on to describe the government’s response: “In poker terms, the Treasury and the Fed have gone ‘all in.’ Economic medicine that was previously meted out by the cupful has recently been dispensed by the barrel.” These metaphors do more to explain his points than paragraphs of technical jargon ever could. 15. Buy at the right price: Purchases must be made at the right price if they are to pay off. For the long haul, Warren Buffett’s way must be best. As an associate says, ‘somehow Warren has been able to keep a diverse cast of characters working harder for him than they did for themselves. I see it every day – and I still don’t know how he does it’. Having read all the above, though, you will have a good idea of the maestro’s magic methods. Use them. Very logical. I particularly agree with the “ownership” aspect. Thank-you for your feedback and for being in agreement. It’s quite hard at times to analyse these thought and business leaders way of conducting business and then to transform it into how CIOs and IT personnel can utilise them. As such it’s quite nice to get feedback such as yours. As soon as I finish reading The Snowball: Warren Buffett and the Business of Life, I’ll let you know. Please do and let me know if you can add some nuggets to the post as you are reading a book that may shed even more light on Warren Buffet’s management style. I look forward to reading your comments and will update my post with that information that would enhance the knowledge of the readership. Thanks for the offer.